Our aim has always been to deliver best possible quality when it comes down to repairing composite bicycles, its compenents and when working on bicycle modification projects. Now, London Carbon Repairs and Giant St. Paul’s are working together to increase not just an overall standarts but also a number of happy cyclists. If our workshop in not on your way, just hop down to Giant St. Paul’s branch on 200 Aldersgate Street, EC1A 4HD, London and we are sure that Giant team will be more then happy to help you out. Jarek is full of positivism and he is a tall guy – ex professional basketball player. Now retired, but still running marathons and competes in cycling. While cycling, rear derailleur got stuck and hit chain stay, causing two damages – medium and small size fractures. In 7 days, Jarek was ready to conquer the roads with his Supersix. Good luck Jarek!!! Woop! Woop! Jason has contacted us a year after road accident has happened. Car hit him. 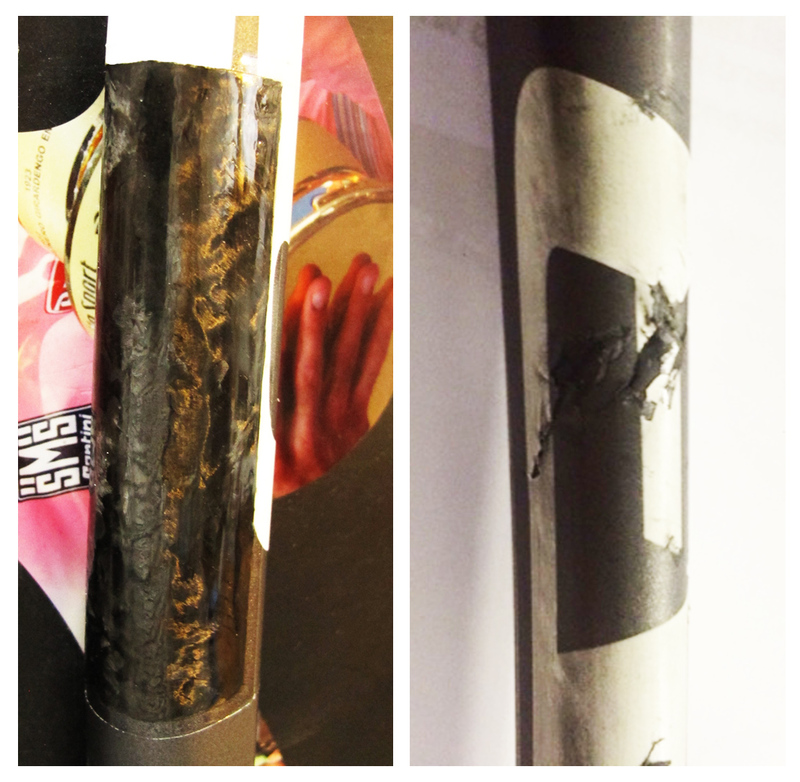 Down tube was crushed, fork nearly snapped off and, unfortunately, Jason’s foot bones has been broken. After a year, his health is back to good order and now his bike is safe to ride. Giant St. Paul’s have sent us one more frame, which got involved in an accident. We don’t know all the details about how it had happened. 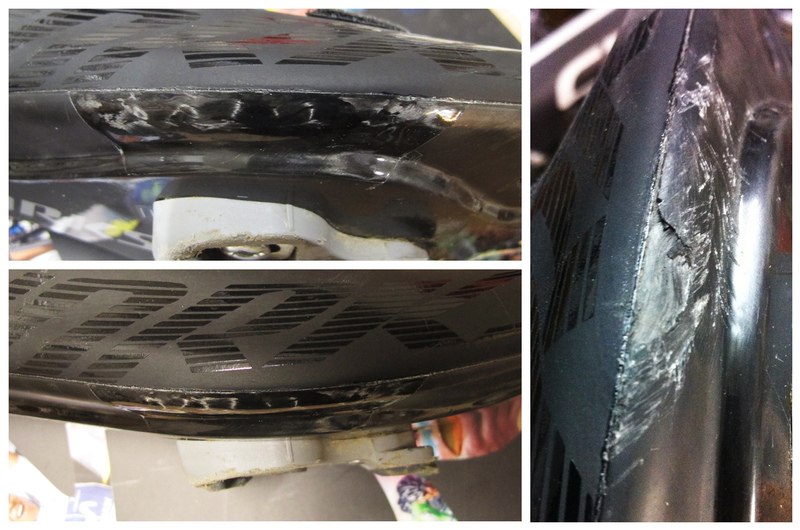 Damage was going around almost 360′ and seat stay had movement. Defy is repaired and back in the streets. 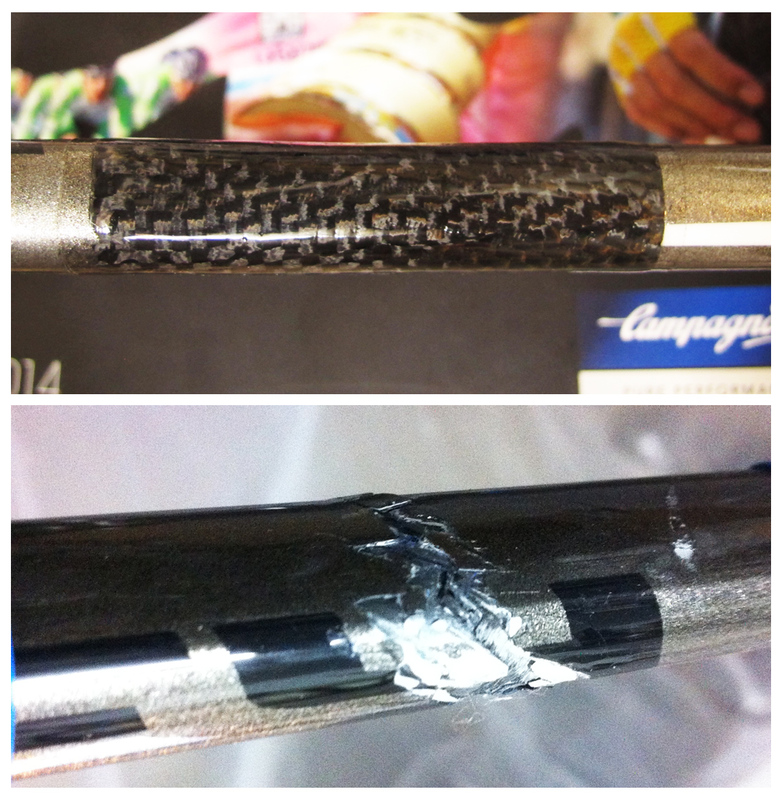 London Carbon Repairs received this frame with a damage which was caused by chain. Frame had a deep scuff – fibers were literally cut. We have repaired the frame and left surface exposed as frame had to be resprayed. Ben contacted us after he’s been onvolved in a road accident. 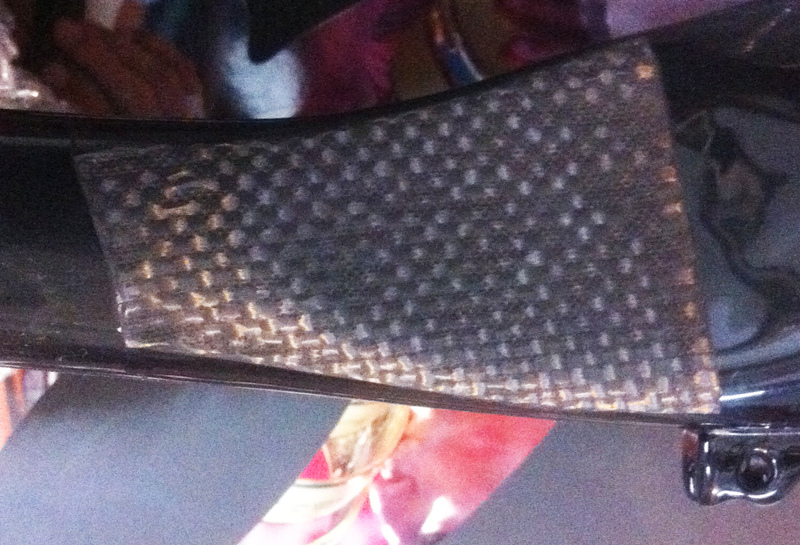 As a consequence, carbon fiber sole got damaged. It has been repaired, integrity restored. Pedal safe, Ben! We don’t know the history of the damage as we have received this frame from the first central Giant St. Paul’s. This damage was quite sever as layers has delaminated on top of it crack was expanding away from the main impact area. Integrity has been restored and repaired area is stronger then it was before. 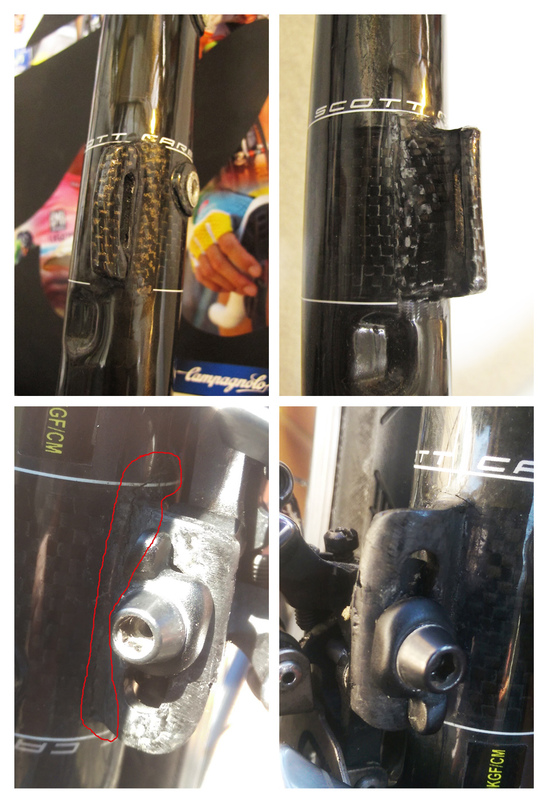 Phil noticed a crack at the area where front derailleur hanger is attached to a frame. 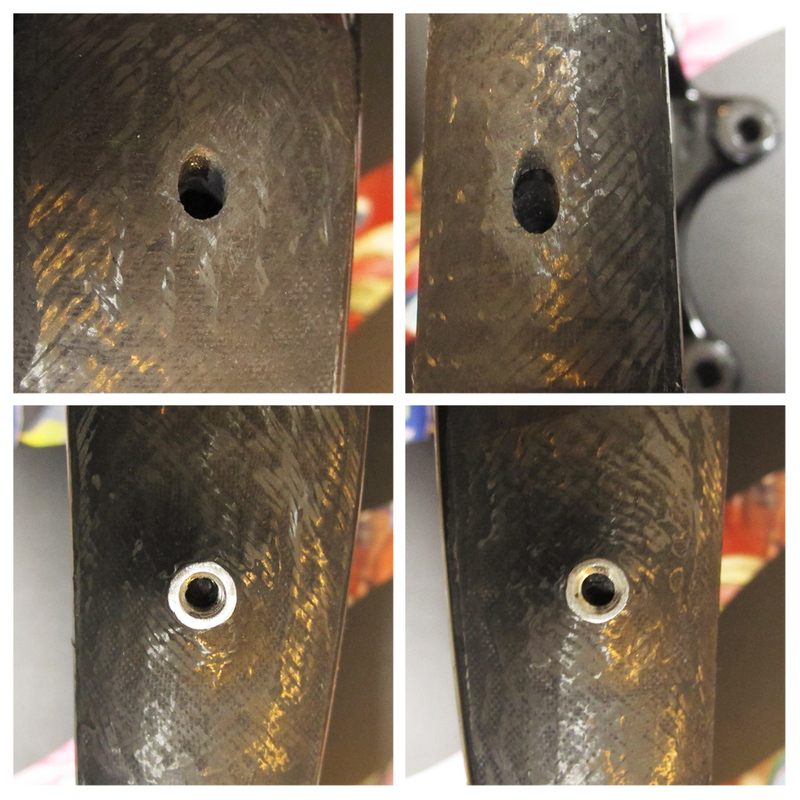 Once bicycle arrived in to our workshop, we have noticed delamination at the edge of the hanger. Now it’s repaired and Phil is back on the road. 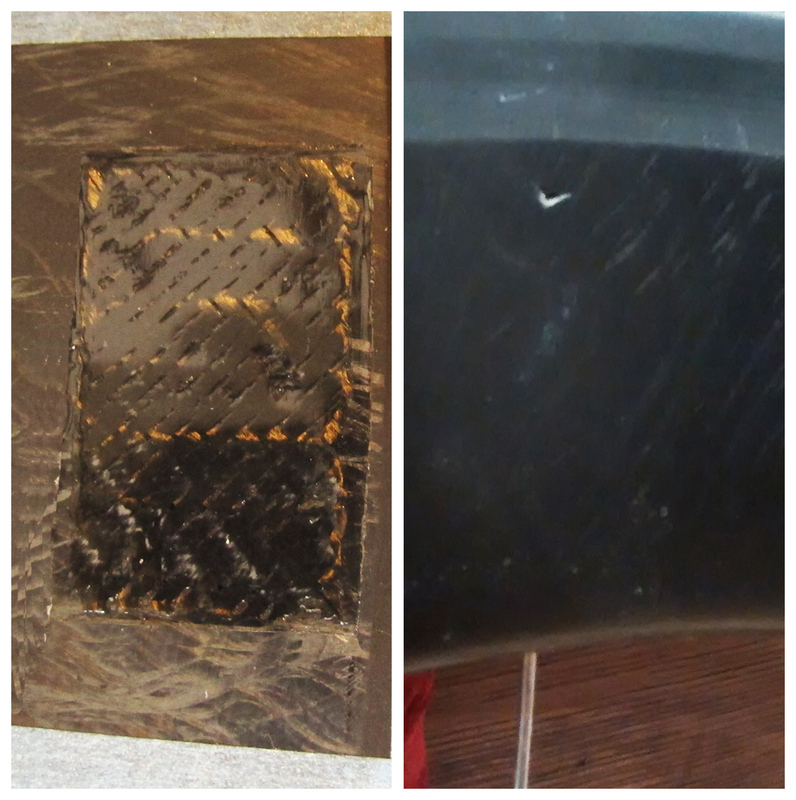 Mounting tyres with a screw driver can cause damage. 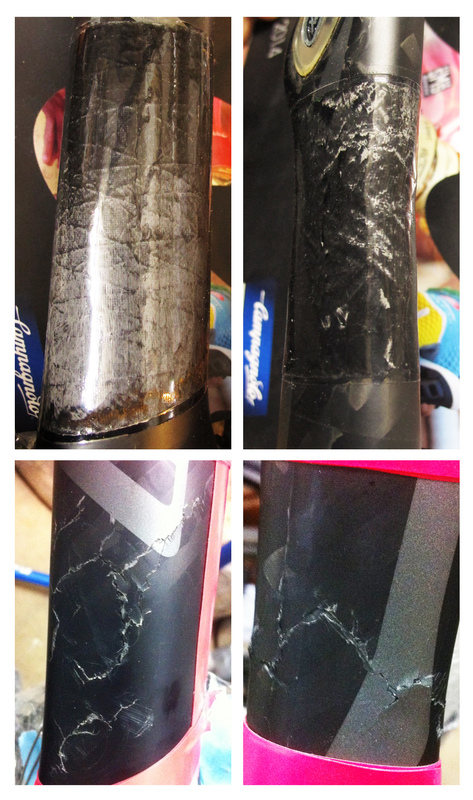 Take care when assembling your beloved bikes. 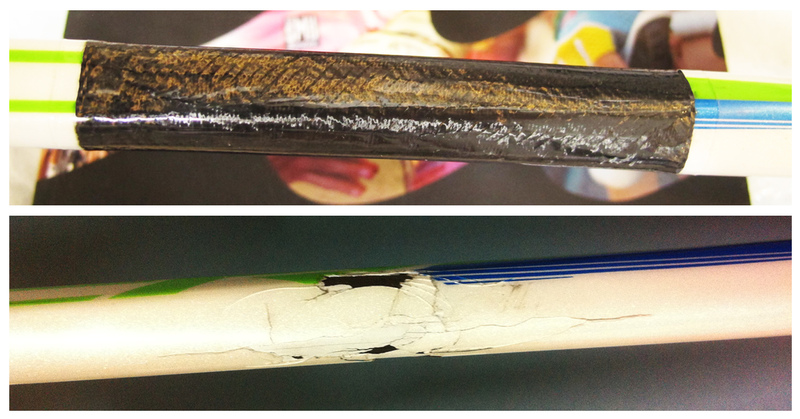 One more fork modified – internal dinamo cable wiring reinforced externally and internaly to eliminate risk of fatigue. External eyelets for panier rack.